Every family deserves a home, especially our military families and veterans. The home buying experience can cause many sleepless nights, not being sure if you have enough money saved, whether you can afford the home of your dreams and who you can trust to help you through the process are common concerns. 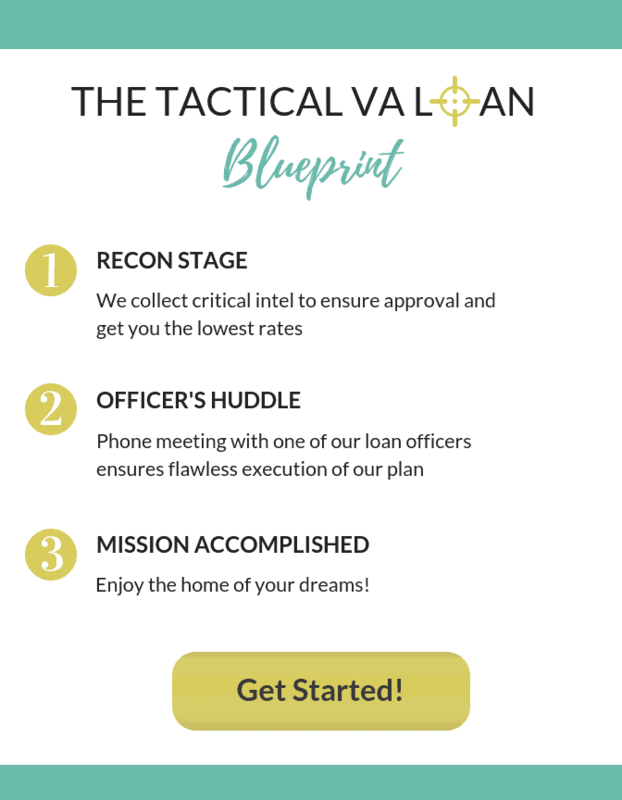 The Wendy Thompson Lending Team is committed to making this process as seamless as possible and after spending 15 minutes reading this article you will have a sound understanding the Best VA Loan Rates with a 640, 645, 650, 655, 660, 665 to 670 credit score. We will review the Best VA Loan Rates by Credit Score, how a small credit score increase can greatly affect the interest rate you receive and steps on how to increase your credit score. Here’s the great thing you have going for you, whether you have a credit score of 640, 645 or 649, the VA loan program was designed for you. While the VA Loan Program does not have a minimum credit score requirement, there are a couple of factors that will determine if you will qualify for the best VA mortgage rates. Generally, a minimum of 620 is required by VA mortgage lenders to qualify for a home loan. With a credit score of 640, 645 or 649, and a reasonable debt to income ratio, you should be able to qualify for a VA loan. Keep in mind that the higher the credit score you have, the better mortgage interest rates you will be qualified for. We will discuss a few tips to increase your credit score and secure one of those better interest rate loans later in this article. The average VA loan credit score is around 700 in the United States. With a credit score of 650, 655 or 659, you will still be eligible for a VA mortgage but at a higher interest rate than someone with a 725 credit score or even a 670 credit score. The interest rate, commonly referred to as the APR (Annual Percentage Rate) is greatly determined by your ability to repay the loan. The two major factors considered is your credit score which is a determined by your credit history, timely payments, credit card debt, outstanding car loans and the like. The second major factor is your income to debt ratio which is simply the amount of money you have left over after you pay all of your bills at the end of the month. The VA mortgage program boasts the lowest foreclosure rate out of all of the four major loan programs. One of the main reasons that experts believe the VA loan program has a lower foreclosure rate is because they generally require a higher debt to income ratio in the 40% area. This means that your mortgage payments shouldn’t exceed 40% of the total take home income you make each month. Keep this in mind when taking on additional debt with a credit score of 650 because pushing your debt ratio over this number can cause you to have to pay a much higher interest rate or even possibly being denied for a new loan. There are many benefits to choosing the VA mortgage program when you have a 660, 665 or 669 credit score. First, if you receive a VA loan, you do not have to have any money to put down on the purchase of the house. In addition, unlike conventional mortgage programs, there is no PMI origination or monthly fees. PMI is Private Mortgage Insurance and it is required on mortgages where the borrower does not put down at least 20% of the purchase price of the home. This can be a huge cost over the life of the loan and is not required when you use the VA loan program. The main fee that you have to pay when using the VA mortgage program, is the VA funding fee, which is usually a couple of percentage points of the mortgage. Generally, this fee is rolled into the mortgage to keep your out of pocket expenses at a minimum. 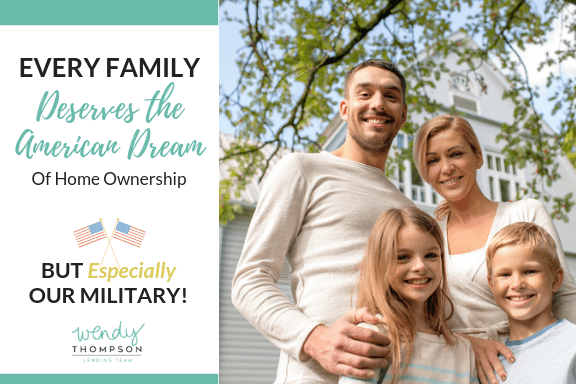 Keep in mind that if you are disabled veteran, the VA funding fee can be waived, be sure to discuss your veteran status with the Wendy Thompson Lending Team to ensure you receive all the benefits you are due. Veterans with credit scores of 640-670 may not necessarily see a dramatic difference in the loan they are offered vs the Vet with a 680+ score. On a $200k home loan, they may pay an extra $1000-$1500 in lender fees for the same rate and opt to bump their rate up 0.125-0.25% to get similar closing fees as what the Vet with a 680 score would be offered. The program is pretty forgiving on what is offered to the Vet considering their score, vs other mortgage lending programs. 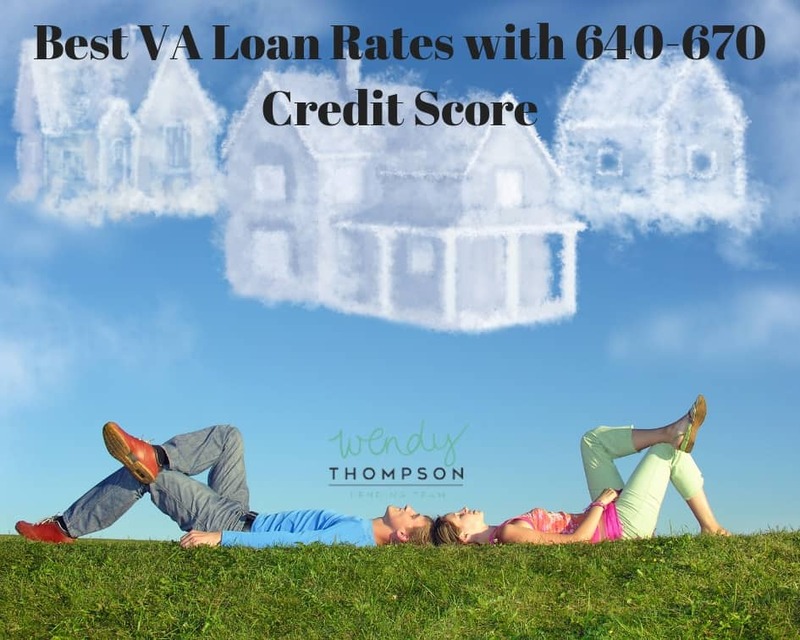 With a credit score of 670, 675 or 679 the Wendy Thompson Lending Team will have more options to get you the best VA loan rates available. The difference in VA mortgage interest rates between a credit score of 600 or 604 and 670 or 676 can be as much as a whole percentage point. Over the course of a 30-year loan, an interest rate a whole percentage point lower can literally save you fifty to a hundred thousand dollars over the life of the loan. This will result in a much lower monthly payment which can help you qualify for a much larger mortgage because of the better debt to income ratio you will have. Keep in mind that if you follow some of the tips to increase your credit score to a even higher number, you can save even more on your next VA home loan! The higher your credit score is, the better interest rate you will be eligible for and possibly you will qualify for a larger loan. Being aware of the factors that affect your credit score and knowing how to use these factors is very important. By following these few steps, you should see an increase in your credit score over time. Be sure to check with the Wendy Thompson Lending Team to get a full assessment of your credit score and what you can specifically do to increase it!